Clara Bell Moore, 99, formerly of Logansport, passed away Friday, February 8, 2019, at Allison Pointe Healthcare Center in Indianapolis. Born on September 2, 1919, in Cumberland City, Tennessee, she was the daughter of Robert and Ora Parchman James. On August 1, 1963 Clara exchanged vows with Carl Henry Moore. They had a blended family of three daughters and one son. Carl preceded her in death on October 28, 1992. Clara had been employed, and retired, from the Logansport State Hospital. She was a true soldier, kept it real, was sweet as pie, and an amazing woman. Clara loved to laugh and was concerned about everyone. Living 99 years, she saw a lot of things, had challenges, many victories, and a lot of memorable happy days. She enjoyed walking, handicrafts, puzzles and never met a stranger. Clara was a founding member of Greater Mt. Zion Apostolic Church. She leaves to cherish granddaughters, Miya and Veronica; grandsons, John Calvin and Josh; three step-daughters; and a host of great grandchildren, great-great grandchildren, nieces, nephews and other family members. Also, preceding Clara in death were son, Johnny James, three sisters and four brothers. 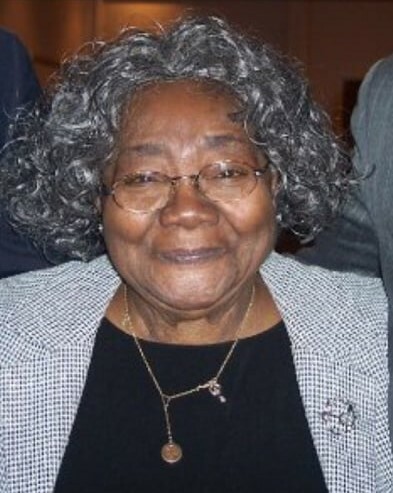 The visitation will be on Saturday, February 16, 2019, from 10:00 a.m., until 12:00 noon, with the Homegoing Celebration following immediately at Greater Mt. Zion Apostolic Church. Burial will follow in Mount Hope Cemetery. Kroeger Funeral Home is in charge of arrangements.